Throughout the course of this school year, BFS students participated in several collective efforts to learn about and support the hungry and homeless in New York City. These efforts were organized in conjunction with the 9th graders’ Youth Service Opportunities Project (YSOP) experience. 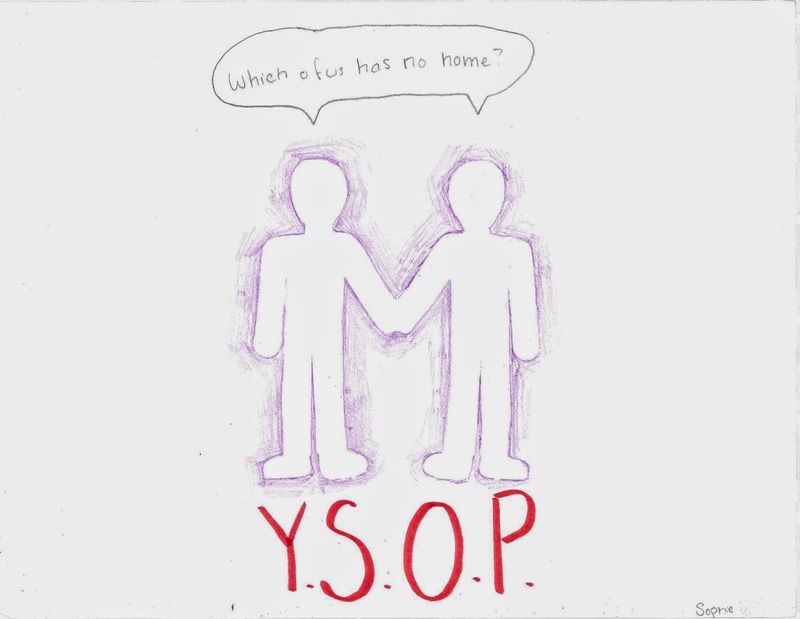 YSOP is a program dedicated to giving students opportunities to help others through volunteer service. 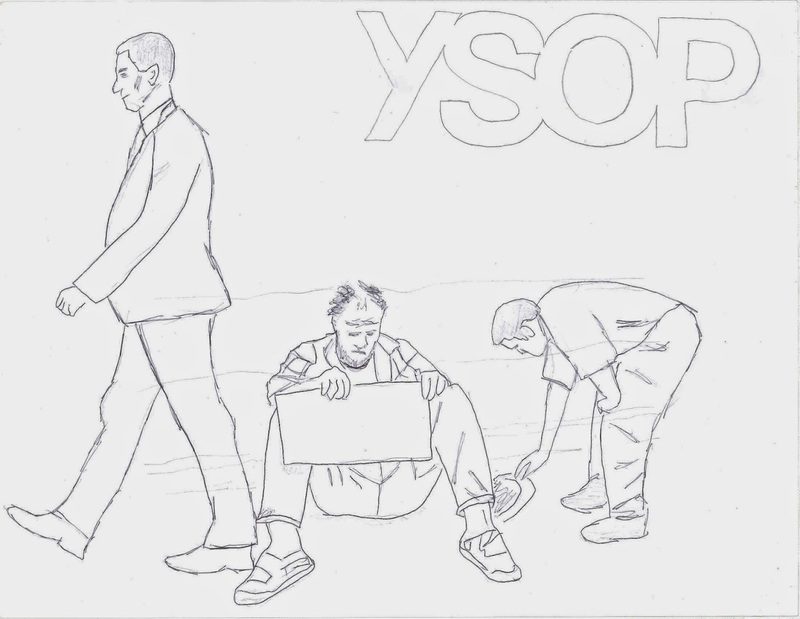 At YSOP students participate in connecting with people who are hungry and homeless. Our 9th graders began preparing for their YSOP experience during their October retreat at Powell House, and then engaged in additional discussions about stereotypes and causes of hunger and homelessness throughout the course of the year. 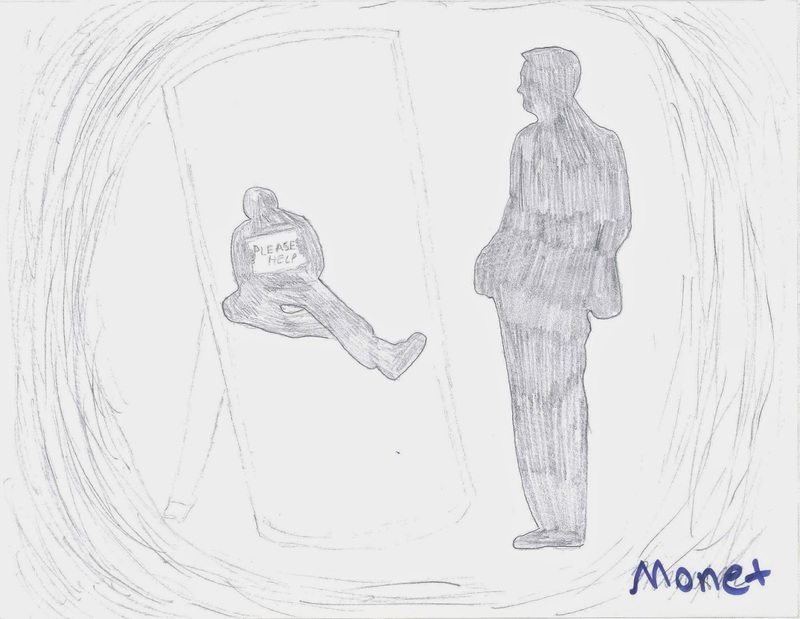 Simultaneously, during the 2nd graders’ study of homelessness, students heard the stories of visitors from Picture the Homeless, a grassroots organization founded and led by homeless people. Upper School students Hildi, Meledi, and Bella volunteered to read Uncle Willie and the Soup Kitchen to Lower School students to contextualize the school-wide collection of goods for the homeless that took place in February as part of the Black History Month Celebration. The BFS Parents and Teachers Association (PAT) brought the community together to recognize historical Black agents of change and to inspire our students to become change-makers as well. As part of this event, Hildi and Meledi helped to facilitate the creation of care packages for the homeless. Each Lower School student created a special drawing and note to accompany each care package. These care packages were then delivered by 9th graders as part of their YSOP experience. The 9th grade YSOP overnight work camp took place at the beginning of April, beginning with students staying overnight at the Friends Meeting House in Manhattan for an immersion service experience. They prepared and served a meal to guests who work with the DOE Fund’s Ready, Willing & Able program, and shared the evening playing games, engaging in activities, drawing, and exchanging stories. Students expressed their appreciation for this experience, crawled into their sleeping bags for several hours, and then woke the next morning to venture out into the city. Small groups connected with six partner organizations committed to supporting the hungry and homeless: Bed-Stuy Campaign Against Hunger, Bowery Mission, CAMBA, Fraternite Notre Dame, Holy Trinity Lutheran Church Homeless Shelter, and St. John’s Bread and Life Program. 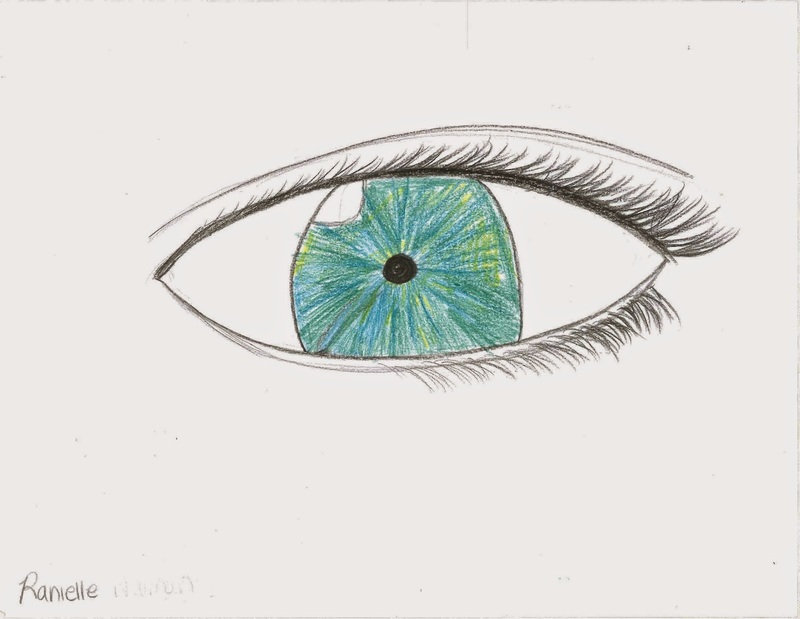 “I learned that anyone and everyone can become homeless. 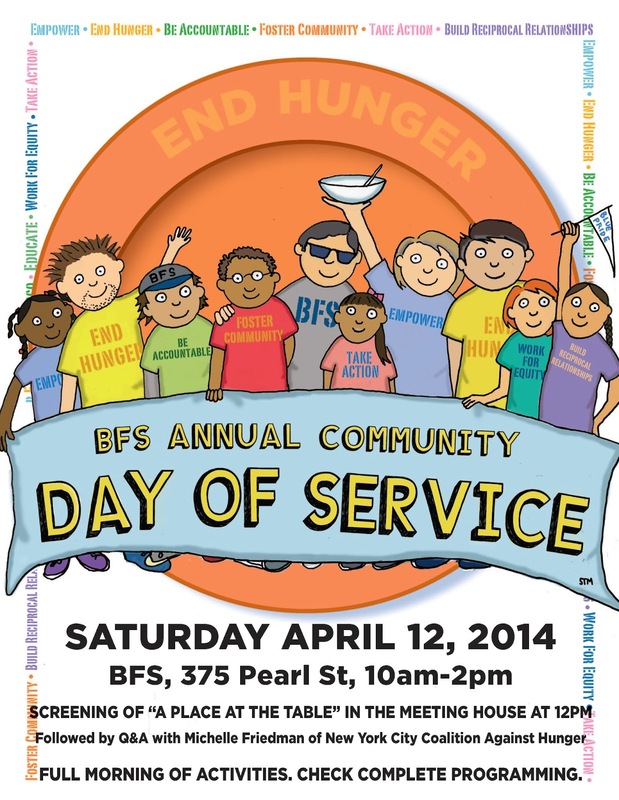 Just one week after working with YSOP, 9th graders Charlie, Emmitt, Maalik and Miles volunteered to share their experiences and raise awareness as part of the BFS Spring Family Day of Service on April 12th. In addition to joining Lower and Middle School students and families in making sandwiches for the hungry through #HashtagLunchBag, they showed younger students a slideshow of images from their YSOP experience, read Uncle Willie and the Soup Kitchen, and talked about what they had learned. 11th graders Olivia, Ariel, Maret and Cal also participated to raise awareness about composting and food justice. Parents and students who participated were impressed and inspired by the passion and commitment that was modeled by the Upper Schoolers, and appreciated the opportunity for members of the whole school community to come together for a common cause.